Regina M. Kupecky, LSW, guides parents in understanding a newly adopted older child's behavior and discuss how to help him heal and attach. View the "Parenting the Hurt Child" webinar replay now. In this webinar, older-child adoption expert Regina M. Kupecky, LSW, co-author of Parenting the Hurt Child, explains why children adopted at older ages behave the way they do, and what parents should do (and parenting techniques that should be avoided) to help their child gradually attach and heal from trauma. The Adoptive Families Parenting the Hurt Child Webinar with Regina M. Kupecky, LSW, took place on Wednesday, March 9, 1-2pm ET. 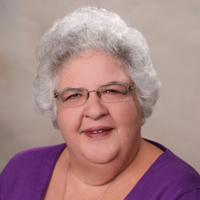 Regina M. Kupecky, LSW, has been working with adoptive families and children for more than 35 years, and is currently a therapist at Adoption & Attachment Therapy Partners, in Broadview Heights, Ohio. She is a co-author of Parenting the Hurt Child, Adopting the Hurt Child, and the therapeutic workbook A Foster-Adoption Story: Angela and Michael’s Journey, and the author of the therapeutic workbook series The Adoption Club. Kupecky also co-authored The Mystery of the Multiple Mothers, a mystery novel with an adoption theme, with her brother.